One of our former vicars at Scarning was David Roper. 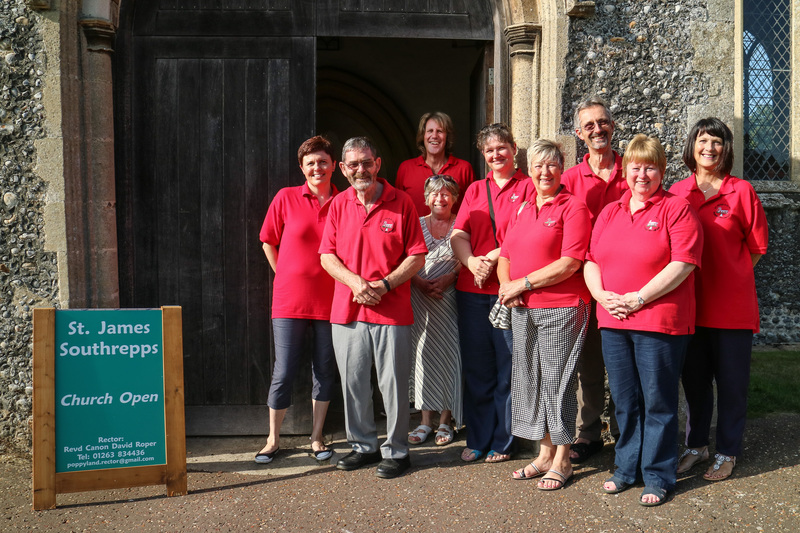 He and his wife Christine are now in north east Norfolk, where David is rector of the Southrepps group of churches. 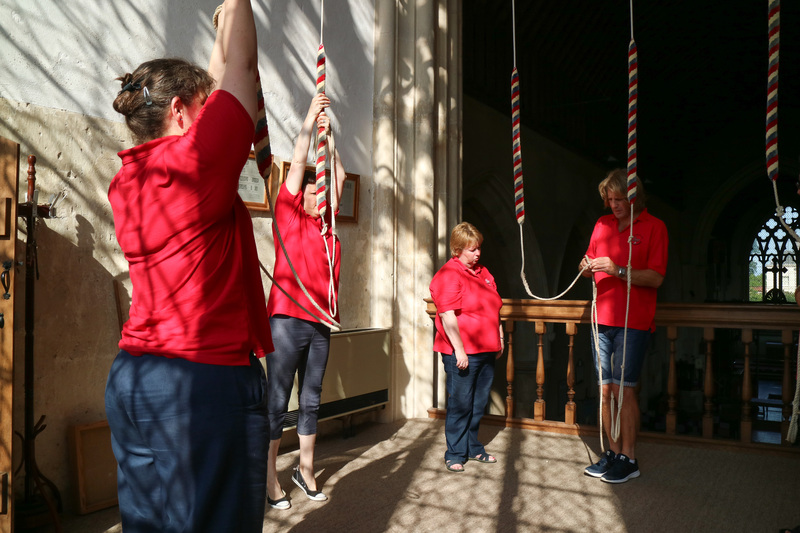 Earlier this year they, with their good friend Sian, who is one of our Scarning band, suggested that we might like to go over and ring the bells there and then all have a meal together. We decided to do an afternoon visit, ringing at two towers, followed by an early supper at the excellent Vernon Arms, which is just a short walk from the church. So on Saturday 23rd July, a beautiful summer’s afternoon, we set off in three cars for Gimingham, five minutes from Southrepps. Gimingham used to have three bells, the oldest of which dates from the fifteenth century, hanging in a bell frame which was presumably medieval. In the 1980’s the frame, which was in poor condition, was replaced with a new timber one, made locally by Derick Grey (formerly tower captain at Southrepps and still going strong). Two redundant bells were bought from elsewhere and the whole five tuned and rehung. The result was, at least to my ear, a very sweet-sounding ring of five with an 8 cwt tenor. 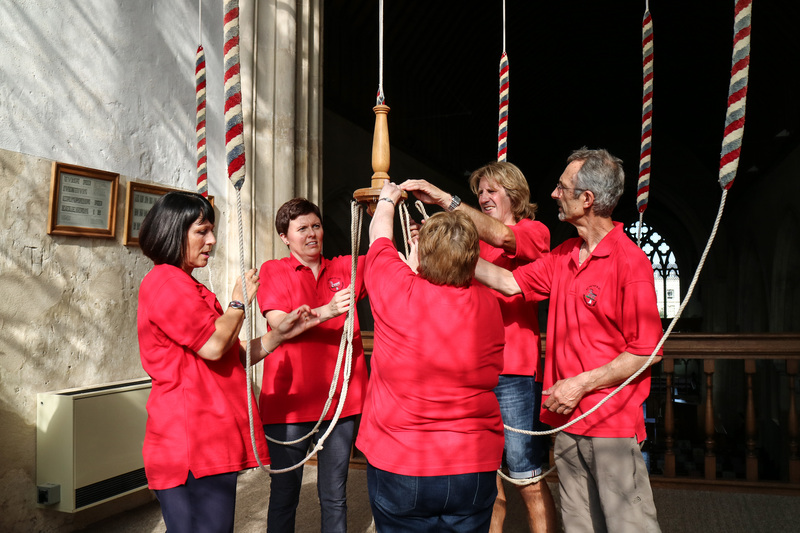 We sometimes ring five bells at Scarning, but of course what we really ring is six with one missing, which is not the same thing at all. 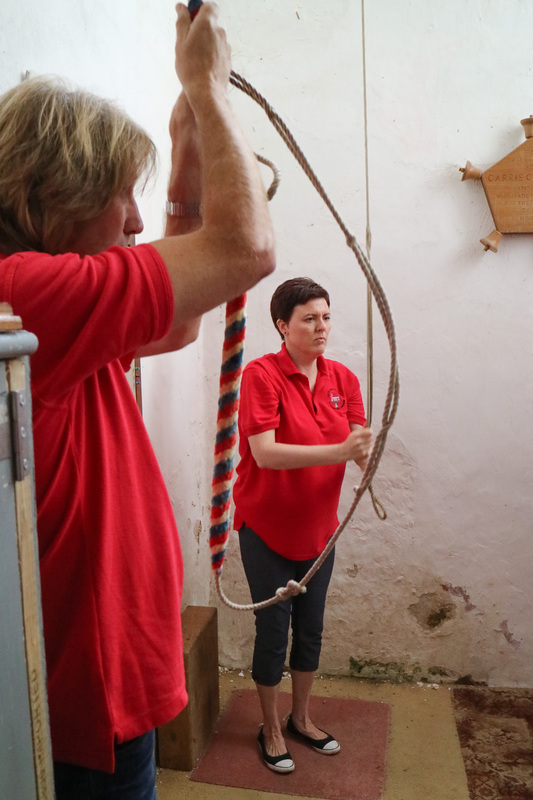 It took us a while to get the measure of the bells but we were pleased with the sound we made and rang some respectable rounds and call changes. We were watched throughout by a very polite young homeless man, who was camping in the churchyard and seemed pleased to have someone to talk to. The Southrepps bells are rung from a fine gallery, lit by the huge west window, in contrast to Gimingham, which is ground floor. Southrepps has a particularly tall tower, which means that in spite of the gallery the bells still have a long draft. They are a ring of six, and heavier than Gimingham, with a 12 cwt. tenor. 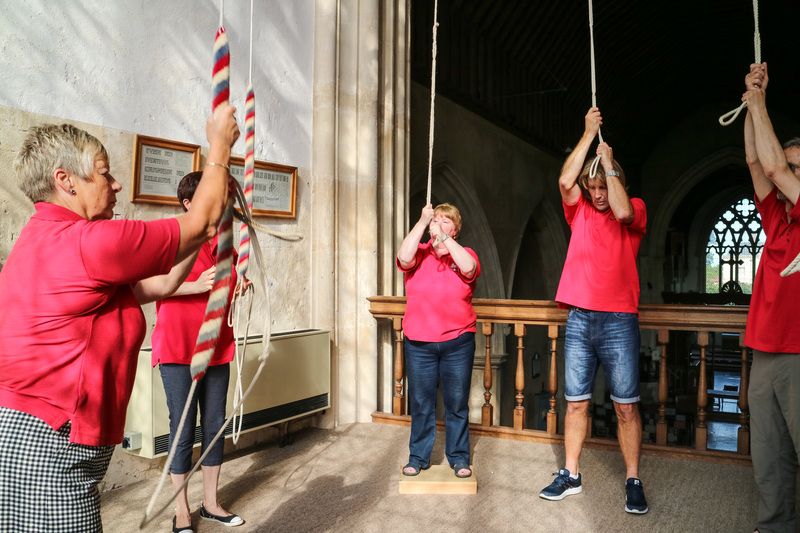 We found the bells quite a challenge and it was only towards the end of our spell of ringing that, with some help from Derick, we managed some reasonably tidy rounds. We also discovered a drawback to the wonderful window, which was that the summer sun streaming in made the ringing gallery extremely hot, whilst those ringing facing the window really needed sunglasses. Having finished ringing we had a very welcome mug of tea, made by our host David, and he also kindly took a photo of the band standing outside the porch. From there it was on to the Vernon Arms, where our table was waiting. The pub lived up to its reputation for good, generous catering and our party of twelve had a most enjoyable meal. To round things off David and Christine invited us back to the rectory, where we had coffee and tea before setting off for home. We have already been invited to go back again some time, which I am sure we will do, and maybe next time we can show those Southrepps bells who’s boss.